Arcooda has created a new video redemption cabinet. The new, entry-level model cabinet is suitable for fish hunter style games but it is a fraction of the price of the premium models. The cabinet includes a 55 inch screen and allows for up to 8 players to join in on the fun. This model will be built using only the best China-made parts. As per the customer’s specifications, it can be built with deluxe wiring for plug ‘n’ play, bill acceptors and printers. In addition to the entry-level model, we also have the Arcooda 8 Player Fish Machine. Arcooda 8 Player Fish Machine is a top of the range original product with guaranteed income and return investment for owners and operators. Genuine arcade parts are used to build the machine, which has been specially designed to be have trouble-free operation for many years. The Arcooda 8 Player Fish Machine is suitable for all redemption games (Ocean King series, King of Treasures series, Mystic Dragon, Insect Doctor, Seafood Paradise series, your own customised game) and configuration options. Interested in the entry-level model video redemption machine? Email Arcooda on salse@arcooda.com or phone +61249 689 313. We want you to join the discussion. Ask a question, post a comment or send us a message about our products and Checkpoint videos on Arcooda’s Facebook, Twitter or YouTube pages. Backglass animations are now complete for a number of Arcooda Pinball Arcade games. So far, 12 tables in Arcooda Pinball Arcade’s library of games have received backglass animations – and there is plenty more to come. Arcooda joined forces with FarSight Studios, the creators of The Pinball Arcade, in December last year to create Arcooda Pinball Arcade – a collection of over 70 games that are unique to Arcooda Video Pinball and other Arcooda arcade machines. While many of the games in Arcooda Pinball Arcade are already well-known and loved, such as The Addams Family, the software enhancements being made to each is what sets them apart from other digital versions. Since December, FarSight has been writing new software code to enhance the games in Arcooda Pinball Arcade. 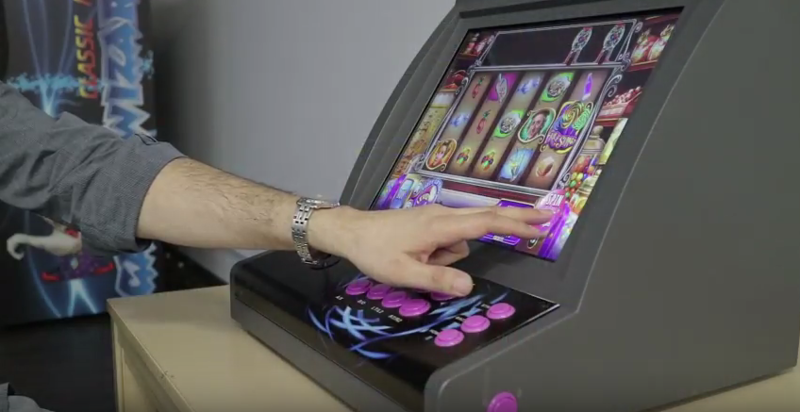 This will allow for power management of coils, lights and various motors – meaning the cabinet will light up and shake at intervals where the game allows for it – new camera angles and 3D support, full touchscreen support and backglass support on all tables. Games to receive a backglass animation so far include: Cactus Canyon, Ciqus Votaire, Attack From Marks, Doctor Who and Doctor Who Master of Time, Terminator 2 Judgement Day and Teed Off. The dual flipper opto board we have been working on for Arcooda Video Pinball. There has been plenty of new developments made on the Arcooda Video Pinball machine since the prototype was revealed late last year, which we outline in video one of our all new Checkpoint series. Keep your eye out for our Checkpoint videos, as this is where we will be revealing more details about the video pinball project and other company happenings. In Checkpoint video 001, we explained why the Arcooda Video Pinball machine has not yet been released. We demonstrated the prototype machine at the Australasian Gaming Expo, Pinfest and IAAPA Attractions Expo in 2016 with the hope of an early 2017 release. However, after much thought, we decided to push this release date back to re-engineer hardware and software components in the machine to deliver a product that looks and feels like a real pinball. Key component upgrades so far include adding a smart tilt IO board, a custom pinball coil mechanism and a dual flipper opto board. In December, we announced a partnership with FarSight Studios – creators of The Pinball Arcade – to launch the Arcooda Pinball Arcade. We asked FarSight Studios to write new software code, which will allow for backglass support on all tables included in Arcooda Pinball Arcade (there is more than 70). Other areas we have been focusing on is power management for the machine’s coils, lights and motors, new camera angles for the games, 3D support, a new player interface and full touchscreen support. We are now in the trial phase. We’ll keep you posted on when the software is ready to play. Want to know more? Watch the Checkpoint video. From today, Arcooda will start an all new video series which will provide our gaming community and the wider public with up-to-date company news. The regular checkpoint videos will feature details and updates on Arcooda projects currently under development and, at times, call for your opinions and input about them. “There is a lot of new development at Arcooda, and often these developments are difficult to explain just through text,” Arcooda CEO Steve Josifovski said. “We have created this new video series to share with our distributors and customers many of the projects we are working on, machines we are soon to release, and also to ask for your feedback. “This video series is a good way to contribute and have your say on what features you would like to see added, cabinet colours, or what further collaborations you would like us to have with other leading software and hardware factories. 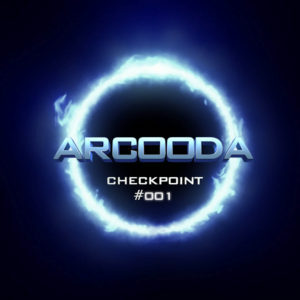 Checkpoint video one will land on the Arcooda YouTube channel Thursday night. This video will contain updates on the Arcooda Video Pinball, a new game and machine, plus something extra we’ve been working on – an anti-cheating system. Keep an eye out on our YouTube channel, as well as our Facebook and Twitter pages for these checkpoint videos. We want you to join the discussion. Ask a question, post a comment or send us a message about our checkpoint video on Arcooda’s Facebook, Twitter or YouTube pages. Arcooda’s Game Wizard for Android is a unique kind of arcade machine. Arcooda’s Game Wizard for Android is a unique, world-first arcade machine. 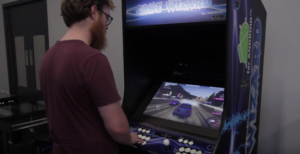 The Game Wizard for Android looks like a standard upright arcade machine, but it is what’s inside that really sets it apart – its Android operating system. What does an Android operating system mean for the machine user? This system allows the user to access a whole new world of gaming, and do so much more with the machine. It gives users the ability to download and install games from the Google Play store. Not just games, any app – music, video, social media. If it’s on the Google Play store you can install and use it on the Game Wizard for Android. This is a world first for arcade machines. The machine user can also choose how they game or access apps – either using the two-player arcade control panel, the 26” HD touchscreen or plug an external controller (for Xbox, PlayStation, etc) into one of the USDs on the front of the machine. What more can the Game Wizard for Android do? Find out in this YouTube video. You can learn more about the Game Wizard for Android here. 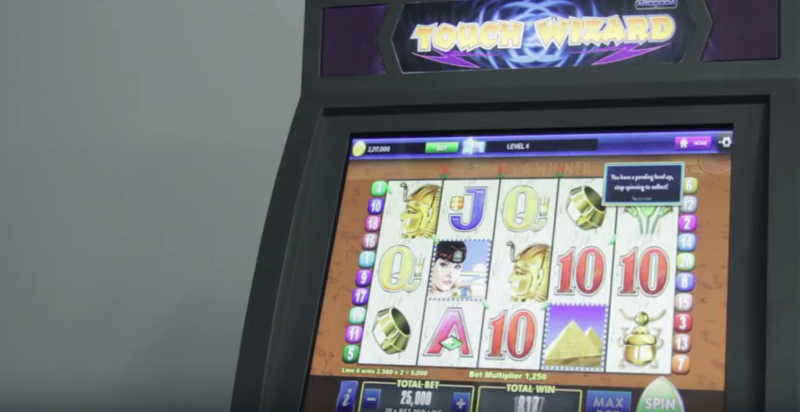 The thrill of Las Vegas action right on your Touch Wizard Arcade Machine! 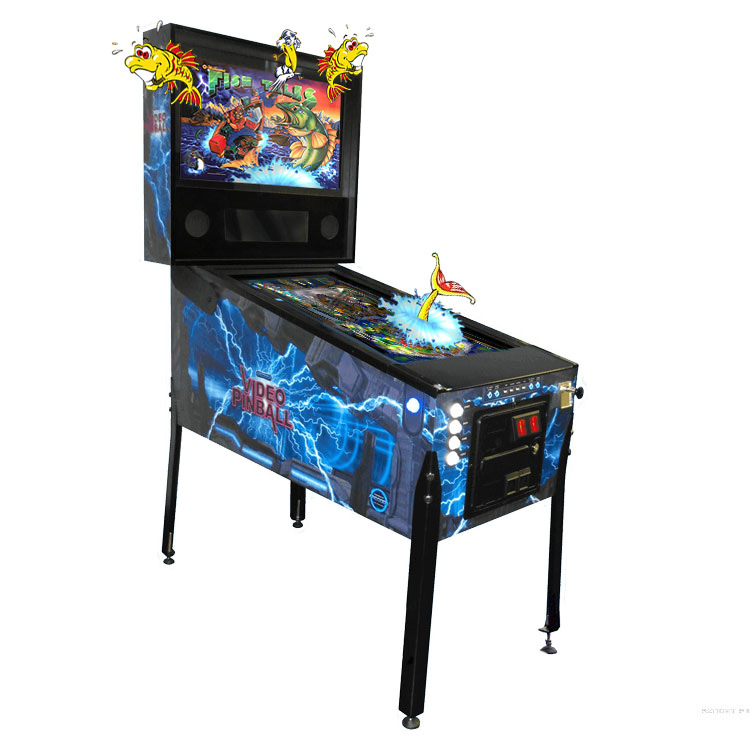 The Touch Wizard desktop arcade machine presents unmatched gaming and entertainment choice. Users can make the most of what Google Play Store has to offer by installing their preferred Android games, social media and music apps. This includes slot and poker games such as Heart of Vegas, Black Diamond Casino, Konami Slots, Lucky Slots, Willy Wonka Slots Casino, Wizard of Oz Slots and many more! 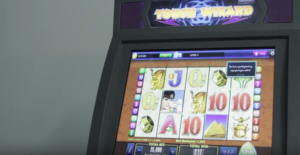 Predominant and renowned slot manufacturers such as Aristocrat, International Games Systems Co. (IGS), Konami and Ainsworth are credited for their fun, exciting and authentic slot games. By connecting the Google Play Store account to the Touch Wizard users can download titles such as Golden Tiger, Captain Jack, China Mystery, Lotus Land, Cashman Casino, Rumble Rumble, Pure Platinum and King Cat. The games can be controlled via the Touch Wizard’s 19 inch touchscreen monitor or authentic arcade controls. Any games/apps/music shown in this video are not included with the Touch Wizard Wizard. However, these games/apps are readily available on the Google PlayStore. Just download onto Touch Wizard and start playing. The Touch Wizard offers incredible flexibility in entertainment. Enjoy all the benefits of Google’s Play store by downloading your favourite Android games, social media and music apps for the widest range of fun on a commercial-grade desktop arcade machine. Play arcade and pinball games, listen to music, keep up to date on social media or just add your Xbox 360, Xbox One, PlayStation 3, PlayStation 4, Raspberry Pi, PC, and other late model consoles on this plug and play system – no need for additional adapters. For more information on the Touch Wizard or to place an order please email us on sales@arcooda.com or call our office on +61 249 689 313. 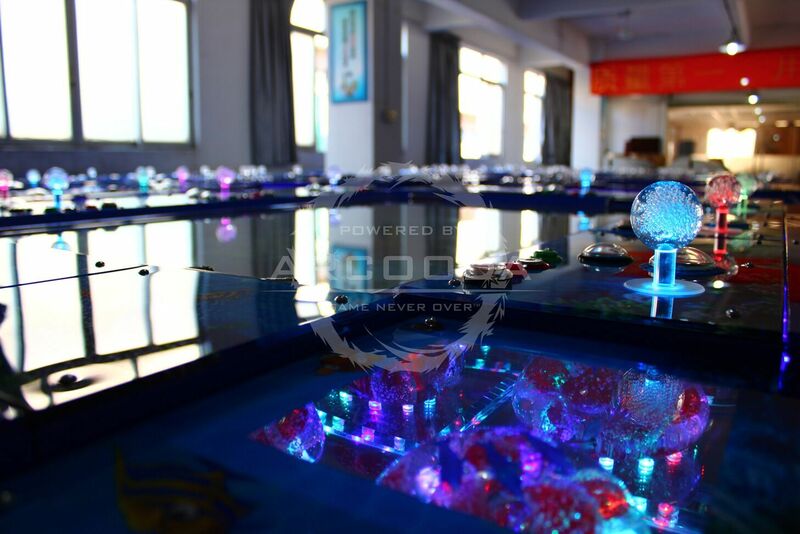 Our Arcooda 8 player fish machine is the premium fish product. It is our top of the range, high quality, fully customisable fish machine providing guaranteed income for operators. The Arcooda 8 player fish machine uses genuine arcade parts and has been specially designed to be have trouble-free operation for many years. The Arcooda 8 Player Fish Machine is suitable for all redemption games (Ocean King series, King of Treasures series, Mystic Dragon, Insect Doctor, Seafood Paradise series, your own customised game etc.) and configuration options (key in / key out, coin in / hopper out, coin in / ticket out, bill acceptor / thermal printer, PlayPortal cashless card system etc.). A number of significant improvements have recently been made to the Arcooda 8 player fish machine including reinforced frame and wheels, anti-cheat hardware as well multi-wiring system for plug and play with all game boards, bill acceptors, thermal printers and more. Please note there are a large number of fish products available as well as a high level of misinformation in the marketplace. We ask our customers to be very careful with offers you are receiving as there are imitation products being misrepresented as “original” and an increase of counterfeit IGS game boards, ICT Thermal Printers and ICT Bill Acceptors. Please note these products are using names and trademarks without license. Further the copy products which are considerably cheaper, are quite low in quality and can cause damage or even fire. We only sell original product and do not offer copy products. We are very experienced with the fish hunting series, our sister company Highway Games was the first to introduce the IGS fish hunting games to the US market with modified software and modular components. We manufacture our own machines and work closely with hardware and software companies to produce high quality solutions for our customers. Custom backglass for Arcooda Pinball Arcade is under development! Arcooda Pinball Arcade is our flagship software in partnership with FarSight Studios. We have been working closely with FarSight Studios to create the most authentic pinball experience fully integrated with our Arcooda Video Pinball. Arcooda Pinball Arcade will comprise of many innovative and never-before-seen features such as as easy touchscreen navigation & game play, advanced playfield angles (including 3D options), real pinball parts support, tournament play, 3 screen game play and more. Our latest feature to be announced for Arcooda Pinball Arcade is custom backglass. This is now well underway and will support lighting features, animation and game interaction. The custom backglass will be a feature for all tables (over 70 titles) included in Arcooda Pinball Arcade including Fish Tales, Medieval Madness, The Addams Family, Monster Bash and Twilight Zone. We will be sharing more features for Arcooda Pinball Arcade over the next couple of months, be sure to be following us to keep up to date! Arcooda Video Pinball is the world’s first full-sized touchscreen video pinball machine. It is made with real pinball parts (flipper coils, shaker motors and more) for an authentic pinball experience, as well as offering advanced features such as interchangeable control panels and compatibility with consoles (Xbox, PlayStation) and PC. With Arcooda Video Pinball, users have the ability to play 1000’s of video pinball and arcade games on the one machine.